The House of Doors is a public art project exploring how society has changed as a result of women getting the right to vote. touring for three years, the house of doors is travelling to both the first and last countries in Europe to grant this right to women. to mark the centenary of the first women in the UK to get the VOTE, house of doors concludes in 2018 with a site & time-specific exhibition in the houses of parliamenT. please see here for details and to book tickets. An immersive installation, the House of Doors reworks public spaces into a private members' club. Much like MPs, Members of the House of Doors (MHDs) are invited to consider and propose new laws, and can scrutinise existing government policies by asking questions about current issues. The House of Doors’ primary focus is imagining - of futures, pasts and presents. MHDs are invited to reflect on contemporary society and are asked to consider what changes might move us towards greater equality. Each proposal put forward by an MHD is documented in the House of Doors' core text The Book of Love & Legislation. This sculpture extends to a members' space where MHDs can come together to scrutinise government policy and propose reforms. On the eve of International Women's Day 2015, UCL's Quad was reworked into the House of Doors. 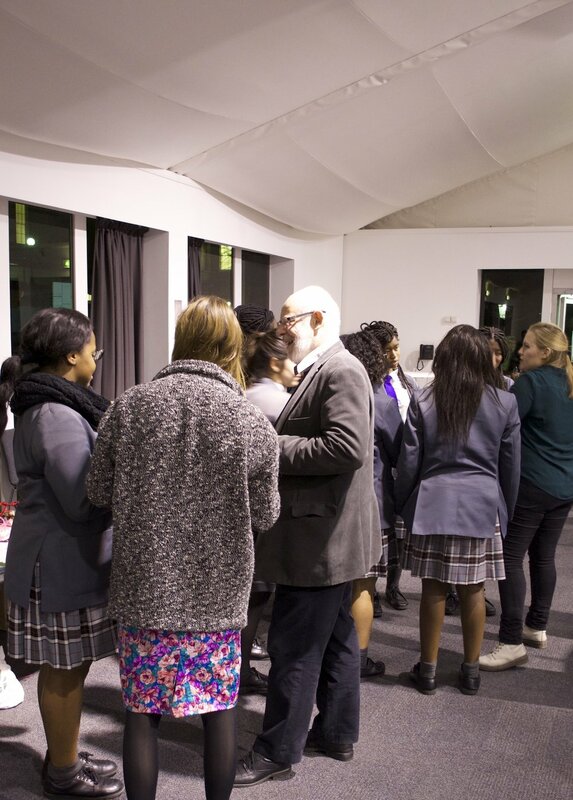 In the member's area a series of talks, workshops and live events took place and the House of Doors' first MHDs were welcomed. 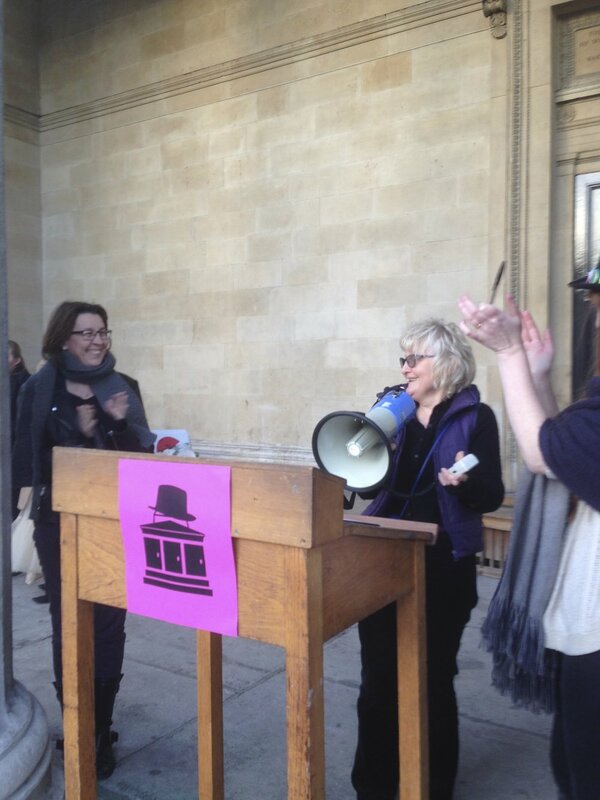 "UCL was thought to be the perfect site to launch the House of Doors due to its historical ethos of equality. Known as the 'godless college on Gower Street', UCL was the first secular university in the UK, and the first university to admit female students on equal terms to men. UCL's Slade School of Fine Art was also the first art college to admit women in the life room and has played a significant role in the inclusion of women in the arts." 5pm-6pm, Live music, discussion and drinks (Portico, UCL Quad). The two day event concluded with a musical reading from The Book of Love & Legislation, with music provided by Les Zoings and pupils from Argyle Primary School taking the role of the 'Speaker of the House of Doors', reading aloud a selection of contributions entered into The Book of Love & Legislation. The House of Doors will tour for three years, concluding in 2018 with an exhibition to mark the centenary of the first women in the UK to get the right to vote. Details about the tour can be found here.